You’ve probably heard something about “The St. James,” but what exactly will it be? Our team recently met with a representative from The St. James (https://www.thestjames.co) and he shared that it is planned to be an extraordinary sports complex that will include just about everything one could imagine. That is just to name a few. They’ll also have accommodations for gymnastics, basketball, volleyball, baseball, golf, mixed martial arts, boxing, wrestling, football, and triathlon/Ironman training. The St. James in Springfield, Virginia is tentatively scheduled to open in September of 2018 and will be the very first of its kind. 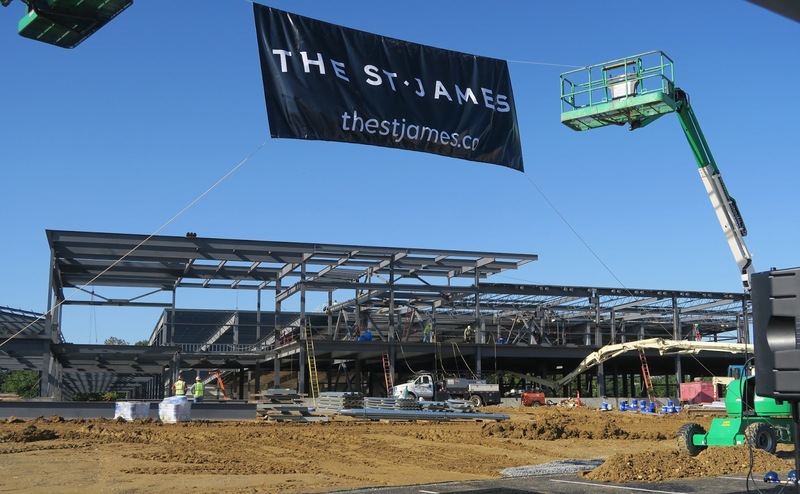 From what we understand, The St. James brand plans to take its concept across the country and around the world. We can’t wait to check it out!